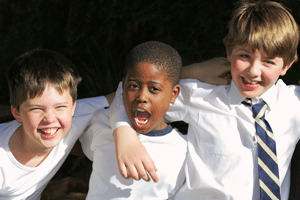 an environment in which their child can develop social competencies — they want the young adult emerging from secondary school to be articulate, to be able to make and keep friends, and to know how to behave appropriately in different situations. In essence, parents want schools to foster a positive atmosphere that will encourage their child’s intellectual and emotional growth. For the majority of parents, the local school — whether government or Catholic — should provide a more than adequate education for their child at a low cost. Private education comes at a higher cost but is often favoured by those who can afford it, indicating that an association between cost and quality prevails. Many parents also consider it essential to look around for the best available fit, just in case the obvious choice is not the right one. Perhaps they have a desire for a particular ethos or social environment, or a special need that can’t be met in their local area.